Why it matters: Israel has asked the Russians for many years to avoid supplying S-300 missiles to Syria because it could limit the Israeli air force's freedom of operation in Syria. The Russian announcement threatens to break the coordination mechanism between the two countries in Syria and unravel what was thought to be a close relationship between Russian President Vladimir Putin and Israeli Prime Minister Benjamin Netanyahu. Israel sent the commander of its air force to Moscow to provide the Russians with information about the incident. The Israelis made clear the Syrians shot down the Russian plane long after Israeli jets left the area. The Russian investigation concluded that while Israel did not shoot down the plane, it was still responsible for the incident. The Russians claimed the Israelis didn't observe the coordination agreements between the two militaries — and their airstrike in Syria put the Russian plane in danger. Today, the Russian minister of defense announced a series of new military steps in Syria. In addition to providing the S-300 missiles, Russia will equip the Syrian air defenses with automated control systems to guarantee that all Russian planes are identified by the Syrians. Russia will also provide the technology to jam satellite navigation, airborne radars and communication systems of Israeli fighter jets that conduct airstrikes along the Syrian coast. Russian Minister of Defense Sergei Shoigu said today that Russia agreed in 2013 to an Israeli request not to supply the missiles to Syria, but added that after the incident, "things have changed and it isn't Russia's fault." 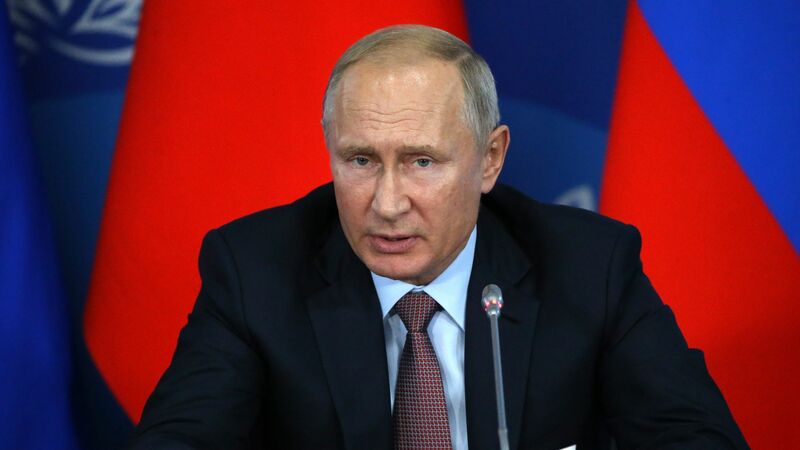 He stressed that he is convinced the new Russian measures "will cool down the hotheads [in Israel] and prevent ill-considered actions threatening Russian soldiers." Putin spoke on the phone with Netanyahu today and told him that the Russian decision to supply Syria with the missiles was appropriate in order to protect the security of Russian troops. Putin added that the actions taken by the Israeli Air Force had a central role in the tragedy of the Russian plane. Putin also told Netanyahu the information supplied by the Israeli Air Force about the downing of the Russian plane doesn't coincide with the conclusions of the Russian Ministry of Defense. White House national security adviser John Bolton criticized the Russian decision to supply the missiles to Syria and said it was a grave escalation and a mistake by the Russians. Bolton said he hopes the Russians will reconsider. Netanyahu told Putin that transferring sophisticated weapon systems to irresponsible hands will make the situation in the region more dangerous and that Israel will continue defending its security and upholding its regional interests. He added he has full confidence in the Israeli Air Force investigation of the incident and added that the responsibility for shooting down the Russian plane is on the Syrian army — and Iran, whose aggression is destabilizing the region. A senior State Department official told me that the move will only raise the risk of escalation and increase the risk to U.S. and partnered forces conducting anti-ISIS operations in Syria. The State Department official added that "it also reconfirms Russia’s continued protection of the Assad regime and ultimate responsibility for the regime’s actions". The State Department official also stressed: "Let us be clear, it was Syrian anti-aircraft systems that shot down Russia’s aircraft. Introducing even more air defenses does not solve the problem of Syria’s unprofessional and indiscriminate firing of missiles, or reduce the risk to regional aviation." What's next: Over the last few years, the Israeli air force has prepared for the possibility of Syria getting S-300s from the Russians. Nevertheless, Israel will have to be calculated and careful when conducting any future airstrikes against Iranian or Hezbollah targets in Syria. This crisis was a test of the close relationship between Putin and Netanyahu. Today's announcement shows Putin chose to side with his generals and not with Netanyahu. The Israeli prime minister might try to engage in some damage control, but it's hard to see the Russians backtracking on supplying the missiles to Syria.